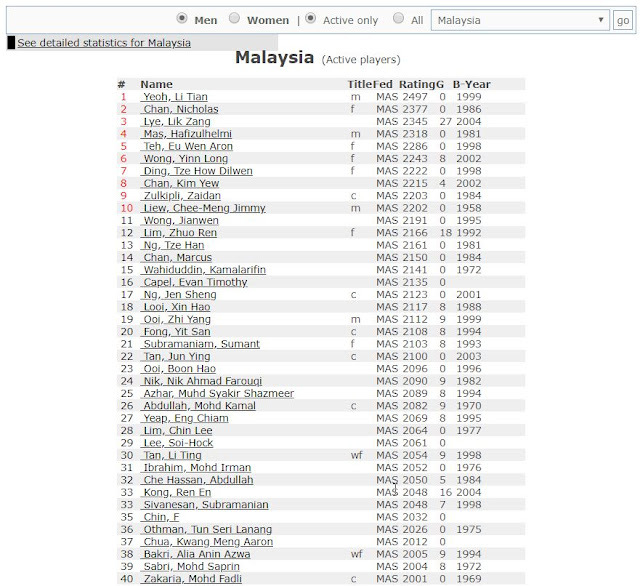 According to the most recent (August 2018) FIDE Rating List, Malaysia is ranked 82nd in the world, pretty much where we normally are even if it is again our No. 1 Yeoh Li Tian's rating that has dragged us up a few places. The biggest change really is Lye Lik Zang moving past 2300 and in fact is at 2345. 2166, current National Champion and No. 20 Fong Yit San 2108, and No. 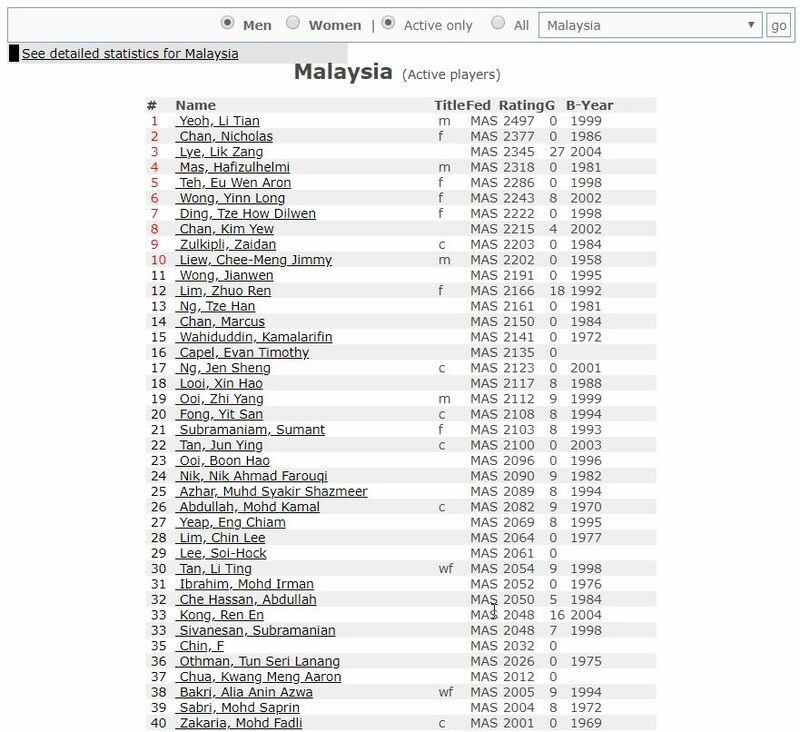 102 Mukhriez Shah Mahmood Shah.